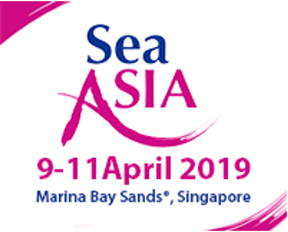 IEC Telecom has launched their Orion Edge+ satellite voice and data communication solution during the Sea Asia event that runs from April 9 to 11 at the Marina Bay Sands in Singapore. 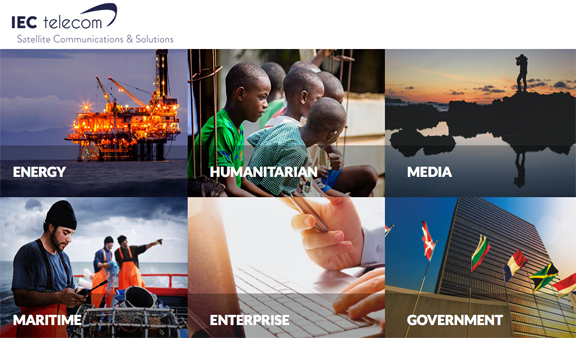 Orion Edge+ provides high quality, reliable broadband with the cost effective operational benefits. It also provides flexible data plans with no long-term commitment. This flexibility makes Orion Edge+ ideal for busy offshore support vessels, tugs, and oil and gas contractors. Powered by Thuraya’s Orion IP broadband and Thuraya’s Seastar circuit switched voice terminal, the Orion Edge+ solution offers high quality voice and data services bundled with consumption monitoring tools and controlled welfare applications – all regardless of vessel size. Orion Edge+ is available through monthly plans with no long-term contractual commitments. Specialized hardware offered by IEC Telecom keeps upfront costs low and provides full visibility for management control, both onboard and onshore. Orion Edge+ is equipped with Wan Optimizer, enabling TCP acceleration and bandwidth optimization. Crew welfare needs are enhanced by local WiFi management which enables vessel and offshore platform managers to provide crew with access to social media platforms and the internet, with safety maintained by high level security systems. Access is granted via an advanced captive portal and consumption can be managed via vouchers or scratch cards for crew members. Thanks to IEC Telecom’s integrated solutions, this is possible even for small vessels that cannot accommodate a VSAT antenna. Thuraya VSAT+ combines the high throughput of Ku bandwidth (up to 4 megabits per second) with the resilience of L-band to provide a fast and secure high bandwidth with a resilient back-up. For a demonstration of IEC Telecom’s latest technology, or to find out more about the firm's offered maritime services, visit stand number B2-R22. IEC Telecom also recently entered into a win-win partnership with Thuraya Telecommunications to commercially offer Thuraya VSAT+ across Europe, Asia-Pacific (APAC) and Middle East and Africa (MEA). This innovative solution ensures optimum flexibility of satellite service and is scalable to meet global and regional needs for essential communications such as voice calls, email and position reporting, and for high-bandwidth requirements. Nabil Ben Soussia, VP, Maritime at IEC Telecom, said this is a brand new, optimized, voice and data solution, engineered by IEC Telecom and powered by Thuraya Telecommunications, that enables small boats to enjoy the high bandwidth that was previously available only to VSAT users. This game changer is designed to meet the requirements of short-term projects with flexible data plans, no long-term commitment, and zero upfront cost. Together with Thuraya, the company has the potential to transform the market of maritime communications. Nadeem Khan, Director, Maritime M2M and IoT at Thuraya, noted that by appointing a highly experienced, capable partner with wide geographical reach as the company's Master Distributor for VSAT+, Thuraya is simplifying the proposition for resellers to offer high-quality services with no investment in the infrastructure. This is a win-win partnership founded on creating new opportunities for the maritime industry.